Malta’s nightlife is exciting and unique, mainly because there are so many clubs, discos, bars and pubs so close to one another. Nighlife in Malta also means open air clubs that are extremely popular on Friday and Sunday nights and will give visitors to Malta a whole new clubbing experience. And you can really enjoy the amazing Maltese nightlife knowing that Malta is one of the safest countries in the world. The areas where nightlife in Malta is more vibrant is in Paceville and St Julian’s Bay, which are a five-minute walk away from each other, in the northern part of Malta. St Julian’s Bay is a lovely place where many holiday resorts and five-star hotels were built. 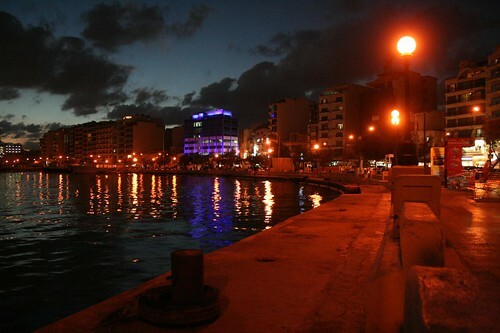 Paceville is not actually a village but a leisure zone, situated between Spinola Bay and St George’s Bay. In the nearby area, there is also Sliema, a lovely place to spend a few hours appreciating a more calm nightlife in Malta and enjoying the view of the boats anchored in the bay and Valletta by night, at a distance. 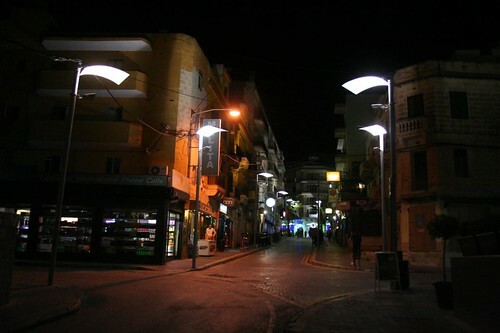 Nightlife in Malta starts extremely early, around 10.30pm. Only one hour later, expect to find the clubs pretty full. Weekends are always better to go out. Taste Cisk and Hopleaf, the local beers. Try also the local soft drink Kinnie, a mix of bitter oranges and aromatic herbs with vodka. Have fun and explore Paceville’s lively nightlife. If you are into a different kind of nightlife, Paceville has Malta’s largest cinema, a bowling alley, sports bars and gentlemen’s clubs. St Julian’s is quite picturesque with all its laid-back cafés and restaurants. 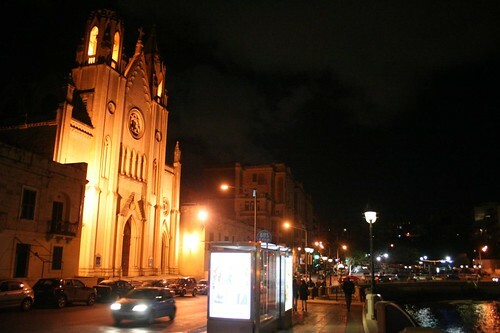 Nightlife in St Julian’s is more upmarket but also more relaxed since the tourists tend to be a little bit more mature. But don’t be fooled. Every ambiance can be found and It can still get wild. You can easily get to Paceville and St Julian’s by public transport from almost anywhere in Malta. There aren’t regular line buses at night but you can use a day route to get there. To come back to your hotel in Malta, wherever you chose to stay, there are extra line buses leaving between midnight and 1am. If, for you, nightlife in Malta means partying until the sun rises, the Free Phone Taxis are always available, offering very cheap taxi rides for groups. I advise you to take a walk from Sliema Marsamxett Harbor (just in the other side of Valletta) to St. Julian’s Bay in Balluta Bay by night. You can enjoy beautiful seaside, people walking, restaurants and finally the Carmelite Church before arriving to St. Julian’s. Nightlife in Malta is also famous for its open air parties that happen specially in the well-known big clubs like Gianpula and Numero Uno, each with a capacity of 4,000 people, mostly young tourists and locals. If you are really into clubbing and don’t want to miss a unique experience, go dancing all night long in one of these icons of Malta’s nightlife. Gianpula is one of Malta’s biggest open air clubs, situated an isolated rural area near the old cities of Mdina and Rabat, Eastern Malta. This giant of Malta’s nightlife is where some of the most famous editions of the Ministry of Sound Festivals were held since 2009 by this London-based nightclub, record label and world-renowned music brand. Gianpula is actually a large complex with five different venues (The Gianpula Main room, Molecule, Groove gardens, Marrakech and Gianpula Fields). The club has beautiful gardens, a swimming pool, eleven bars, elevated VIP areas, champagne huts, seating areas, Parking facilities, restaurants and state-of-the-art sound and lighting systems. There are two music areas in the club: trance/club and R&B/Hip-hop. The atmosphere in Gianpula is great and friendly. The club is open only on Fridays and Saturdays from 11pm. Another must of Malta’s nightlife, Numero Uno claims to have the largest outdoor dance floor in Malta. The club is situated in the fields right in the middle of Ta Qali’s crafts village, Central Malta. This venue is impressively huge. It has a main area (with four large bars) where commercial music and R&B is played and a smaller independent chill out part for alternative rock (only on Saturdays). Numero Uno is open only in the extended Malta summer, since it is all open air. There aren’t any bus routes to these open air clubs but hiring a taxi or a mini bus is both easy and inexpensive if you share them.